Signed by Pedro Martinez, this 75th Baseball Hall of Fame anniversary curved commemorative coin is a winner! In 2014, the National Baseball Hall of Fame celebrated its 75th anniversary with a commemorative coin that not only won the 2016 Coin of Year award--it sold out in only five days. Now, GovMint.com has secured a group of these coins with an additional feature: they’re hand signed by Baseball Great Pedro Martinez. A Boston Red Sox player for the ages, Pedro Martinez is a hall of fame pitcher who contributed significantly during the Red Sox’s World Series run in 2004…a run that ended in their first World Series win in 86 years! Like Martinez, this Baseball Hall of Fame gold proof is a standout, it’s flat on its obverse side, then raised and rounded on its reverse side—and there are only a few left to purchase. Get yours now from GovMint.com. 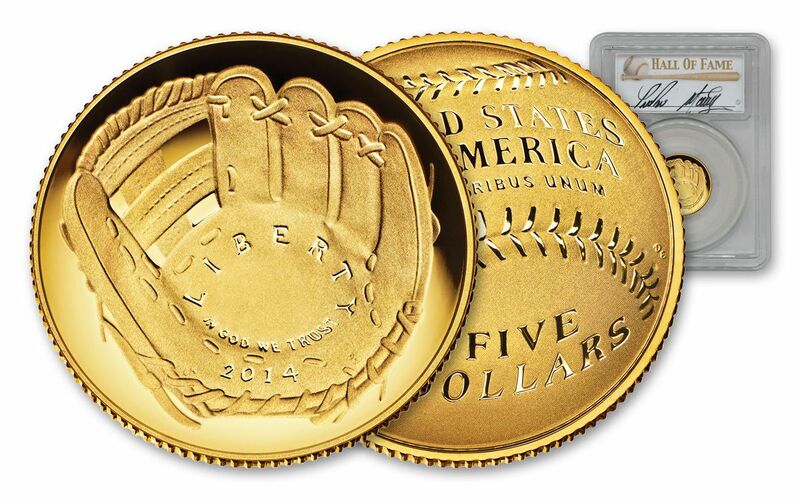 Why did the 2014-W $5 Baseball Hall of Fame Proof win the 2016 Coin of the Year award? It’s all about the curve. 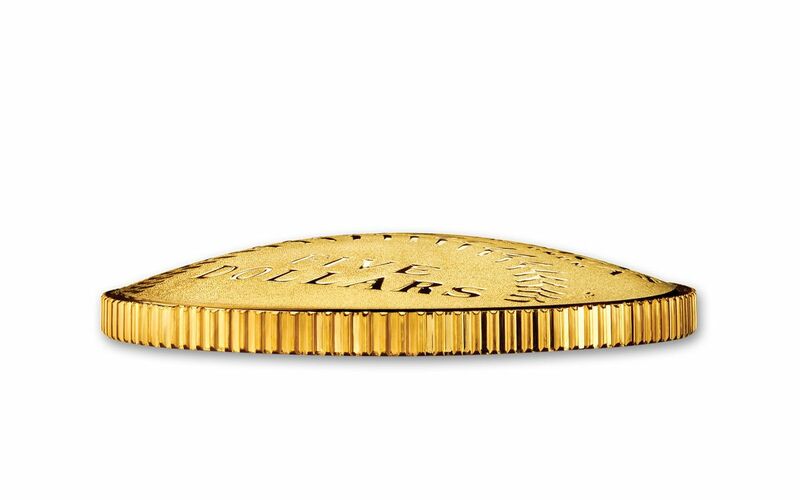 This specially-designed, rounded coin is struck in 90% pure gold. It weighs 8.359 grams and is 21.6 mm in diameter. FIRST-EVER ROUNDED DESIGN FOR THE US MINT-- This curved coin didn’t just impress the judges for Coin of the Year…collectors all over the world responded as well. The coin sold out all 50,000 of its run of gold coins in only five days. When you hold the coin in your hand yourself, however, it’s easy to see why. 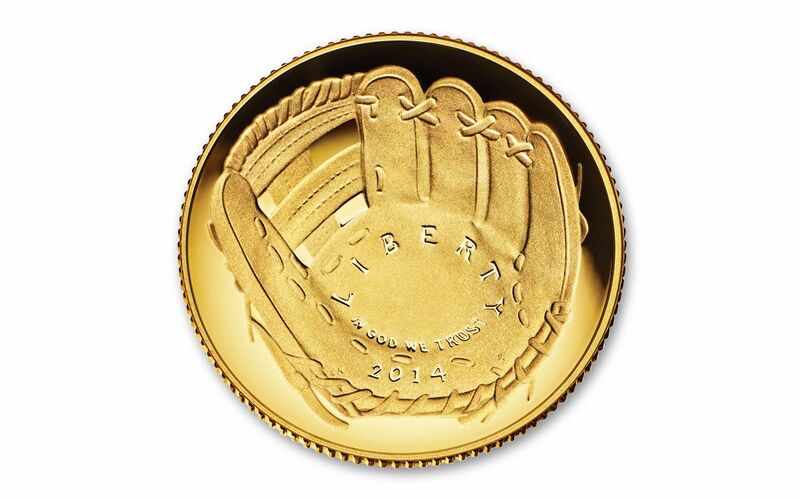 The coin’s obverse features a glove design inspired by a well-loved baseball glove, broken-in and ready to catch its next ball. Inscribed inside the glove are the words “LIBERTY," "IN GOD WE TRUST" and the date "2014." The reverse, however, is the real show-stopper. 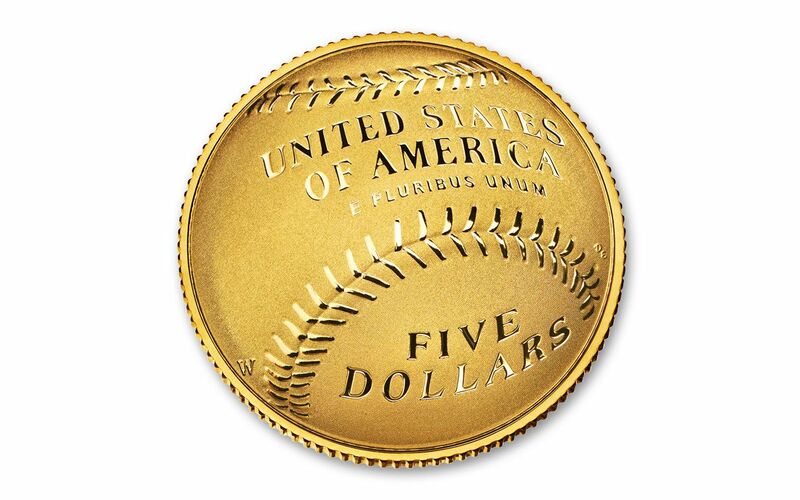 Across a rounded surface is a highly-defined Major League Baseball® design, along with the inscriptions "UNITED STATES OF AMERICA," "E PLURIBUS UNUM" and "FIVE DOLLARS." The reverse is also imprinted with the West Point mint mark of "W."
SIGNED BY BASEBALL GREAT PEDRO MARTINEZ-- Whether you’re a fan of hall of fame pitchers, the Red Sox, or baseball history itself, Pedro Martinez is considered one of the most dominant pitchers of the game. He’s added his distinctive signature to your coin’s label, allowing you to showcase two greats with one coin. THE HIGHEST GRADE AVAILABLE FOR GOLD COINS -- Nothing glitters like pure gold, and coins ranked PF70 Deep Cameo like this one are the best of the best. Your coin will arrive in stunning condition with a brilliant surface and deeply-defined details. With a signature from Pedro Martinez and a first-ever curved design, this 2014-W $5 Baseball Hall of Fame Proof is a must-have coin for fans of baseball and collectible gold coins, alike. Contact GovMint.com today to secure yours!